Measurements: 28mm long with loop x 5mm wide. 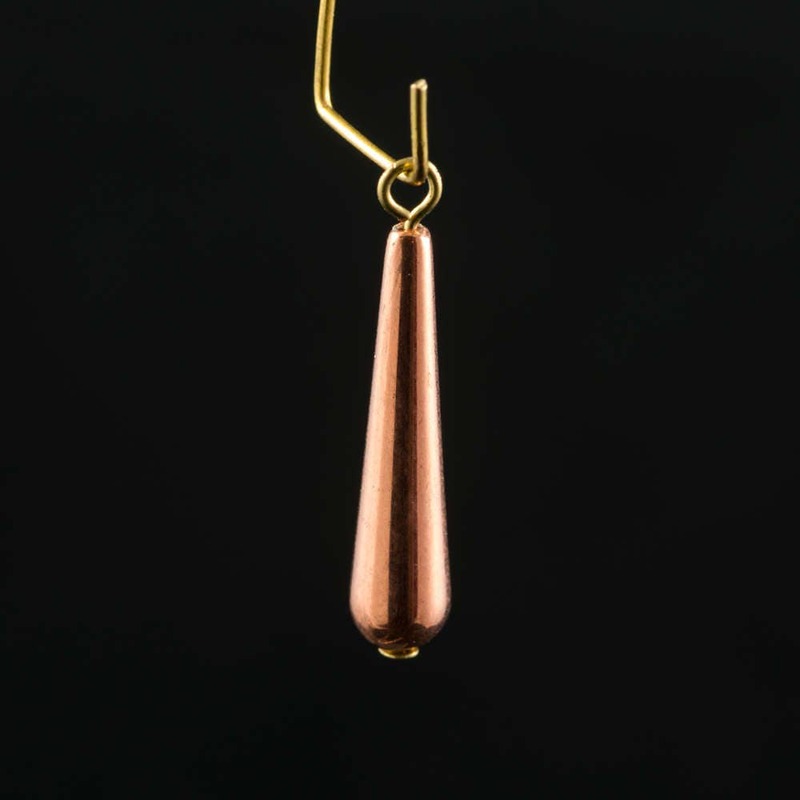 Characteristics: Vintage copper colored teardrops. They have a tapered thin teardrop shape and they come with a loop.